This rewinder can longitudinally cut corrugated paper rolls and kraft linerboard paper rolls with a basis weight of 100-200 g/m², and rewind into finished paper rolls with the requested width and tightness. 3600 kraft paper machine adopt waste paper to produce kraft paper, corrugated paper, cardboard paper and other paper for package. 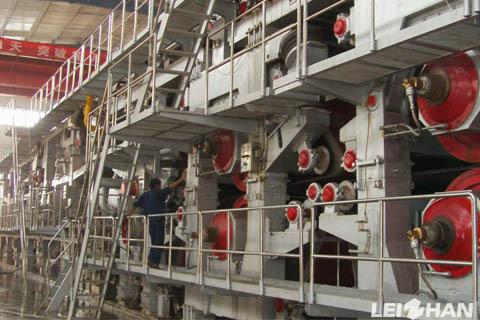 It mainly consist of stock preparation line, press dryer section and converting complete section. 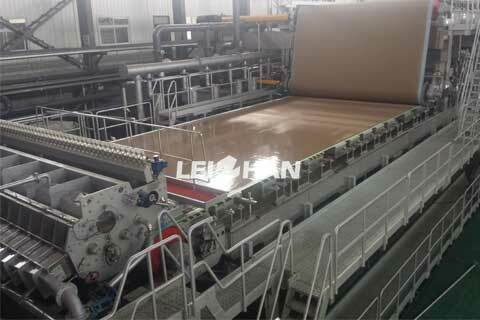 5500mm kraft paper machine is mainly suitable for the production of high-strength kraft paper board with a basis weight of 100 – 300g/㎡ by using wood pulp or waste paper pulp. 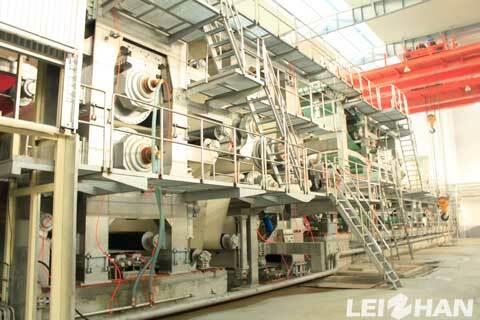 150T/D OCC pulping line can be used to make kraft paper, high-strength corrugated paper. It can maintain the physical property of fiber, improve the quality of pulp and economic benefits. 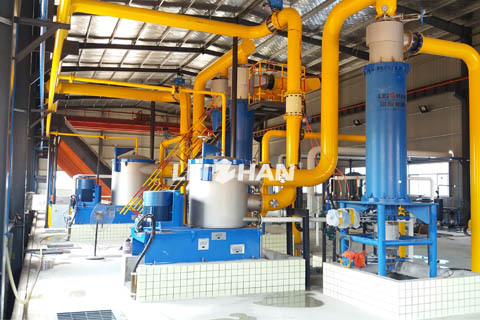 Triple layer paper board machine adopt waste paper to produce kraft paper, corrufated paper, cardboard paper and other paper for package. 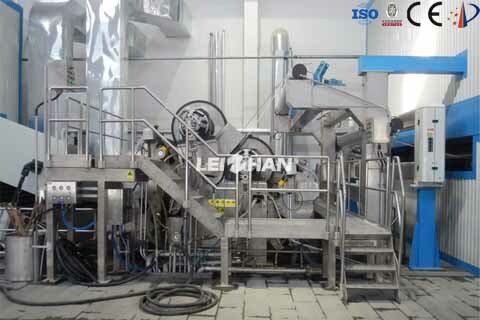 It mainly consist of stock preparation line, press dryer section and converting complete section. 3200 kraft paper machine adopt waste paper to produce kraft paper, corrufated paper, cardboard paper and other paper for package. 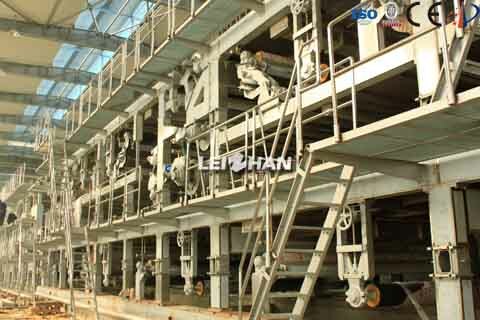 It mainly consist of stock preparation line, press dryer section and converting complete section. 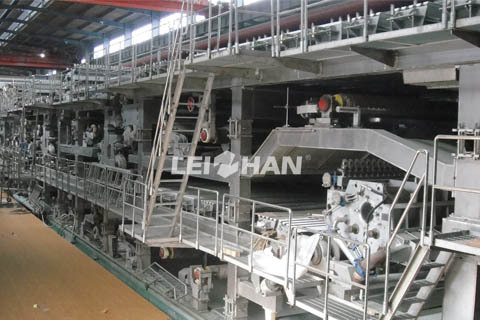 3600/200 cardboard paper machine has headbox, wire section, press section, drying section, transmission section, foundation part, a pneumatic paper winder. 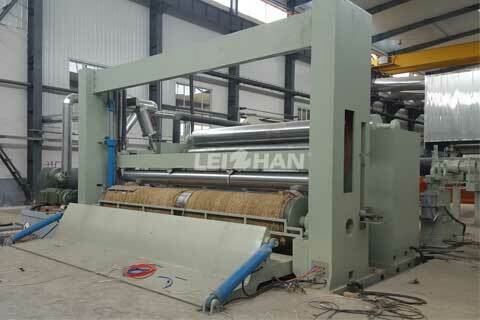 5500mm kraft paper machine mainly used for kraft or kraft liner board paper making. 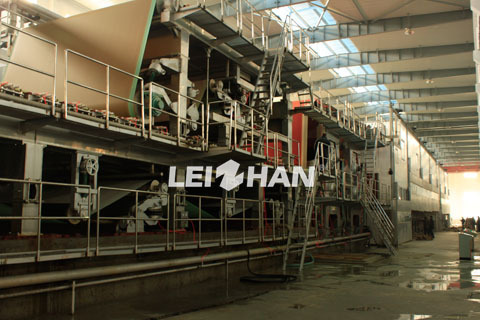 Paper machine mainly consist of headbox, wire section, press section and so on. Welcome you to visit! 5580/800 Immersion Surface Sizing Machine has been proven to be reliable and cost-effective on medium and high speed paper machines. We will give you a competitive price than others. 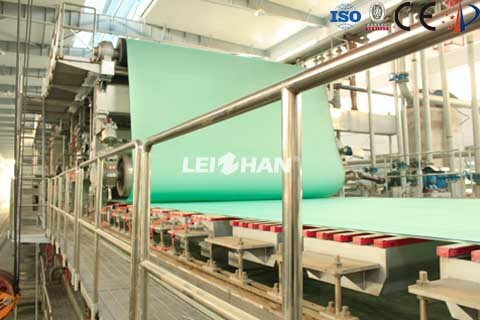 Leizhan company provide you with some main part description about duplex layer kraft paper machine and some necessary equipment for duplex layer kraft paper making line.